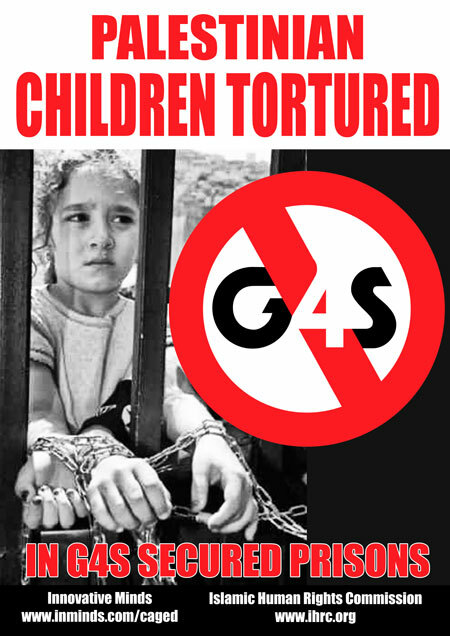 As final preparations are made for tomorrows protest (Friday 12th October 2012) at G4S's complicity in the torture and caging of Palestinian children we share a glimpse of the placards and leaflets that activists will hold and give out outside the headquarters of G4S UK in London tomorrow at 3pm. 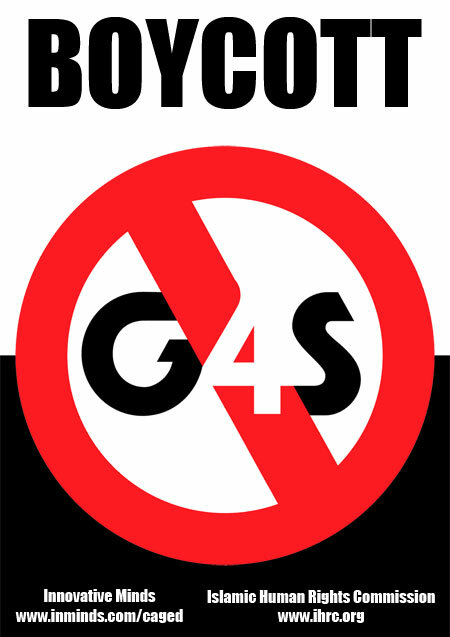 G4S also provides services and equipment to the illegal Israeli settlements, checkpoints, police stations, etc. 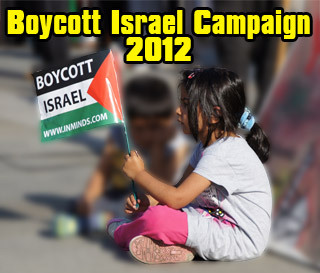 We will also be protesting in solidarity with the Palestinian hunger strikers. 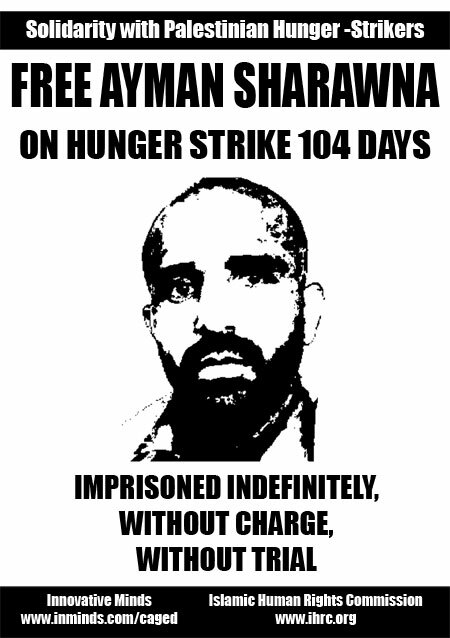 Friday 12th October will mark Ayman Sharawna's 104th day without food and Samer Al-Issawi will be on his 73rd day of hunger strike. 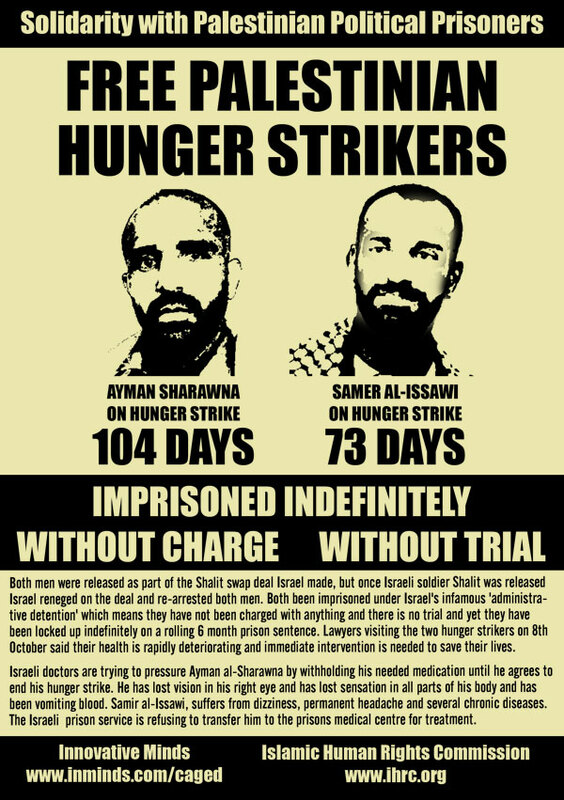 Israeli doctors are trying to pressure Ayman al-Sharawna by withholding his needed medication until he agrees to end his hunger strike. 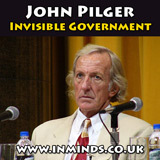 He has lost vision in his right eye and has lost sensation in all parts of his body and has been vomiting blood. 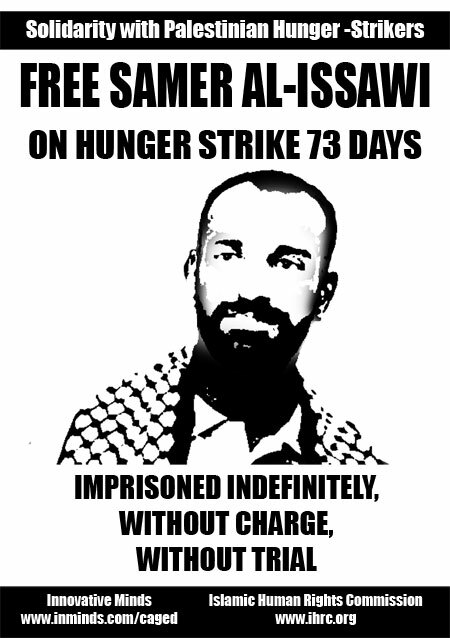 Samir al-Issawi, suffers from dizziness, permanent headache and several chronic diseases. 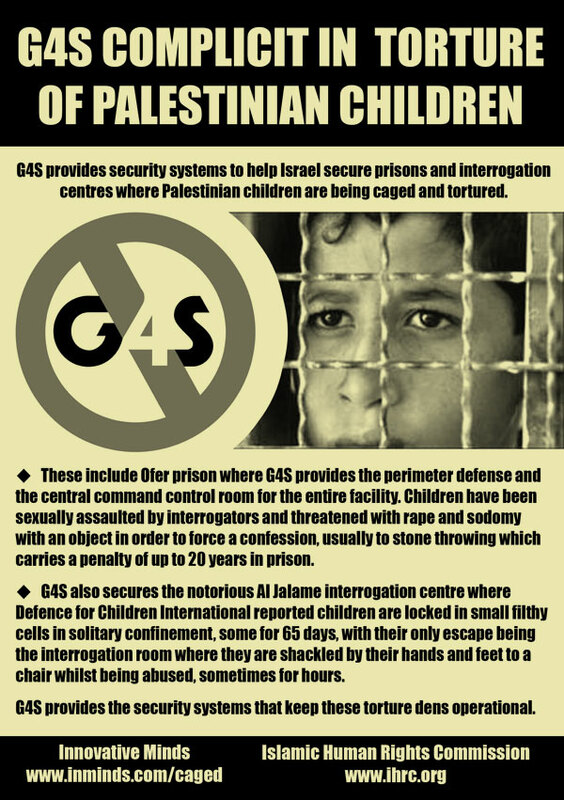 The Israeli prison service is refusing to transfer him to the prisons medical centre for treatment.